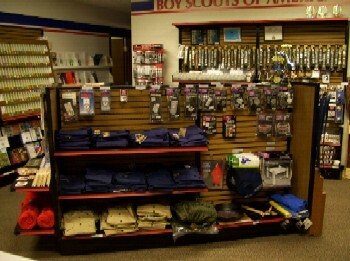 The Scout Shop is your official source for Boy Scout uniforms, outdoor gear, uniforms, badges, craft items and more. Our staff has the benefit of knowing many leaders in the council. Have a program question? There's a good chance you can find the answer out at the Scout Shop. 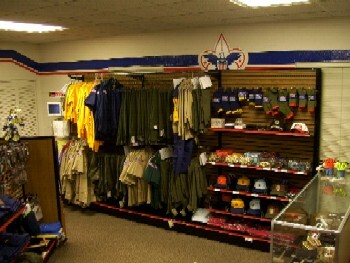 The Scout Shop is in the Knipp Service Center, located off I-70 near Rangeline Road on the Business Loop in Columbia. If you have any concerns or questions please contact the store staff by email: GreatRivers.ScoutShop@scouting.org or phone us at 573-449-2561 Ext. 204. Please provide a 24 hour notice to fulfill a unit order for pick up. 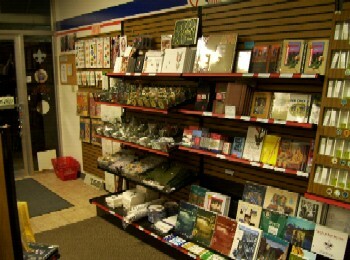 Not able to make it to the Scout Shop during regular business hours? 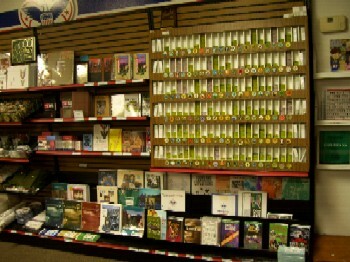 You may also view or purchase National BSA products on the internet. This site offers only National BSA items. Remember that we can special order any item for you. Click here to go to Scoutstuff.org. A signed advancement form is required for any rank advancement. We cannot sell any rank advancements without a signed advancement form. Click here for an advancement form or online internet advancement. For your unit's convenience, you may wish to set up a unit account at the Scout Shop. Complete the Unit Account Application, then make a deposit in your unit's account so that you can charge orders to this account. This method is convenient for units who wish to call in an order and have it mailed (shipping charges will be added). This account operates like a checking account; you must have money in your account in order to make charges against it.